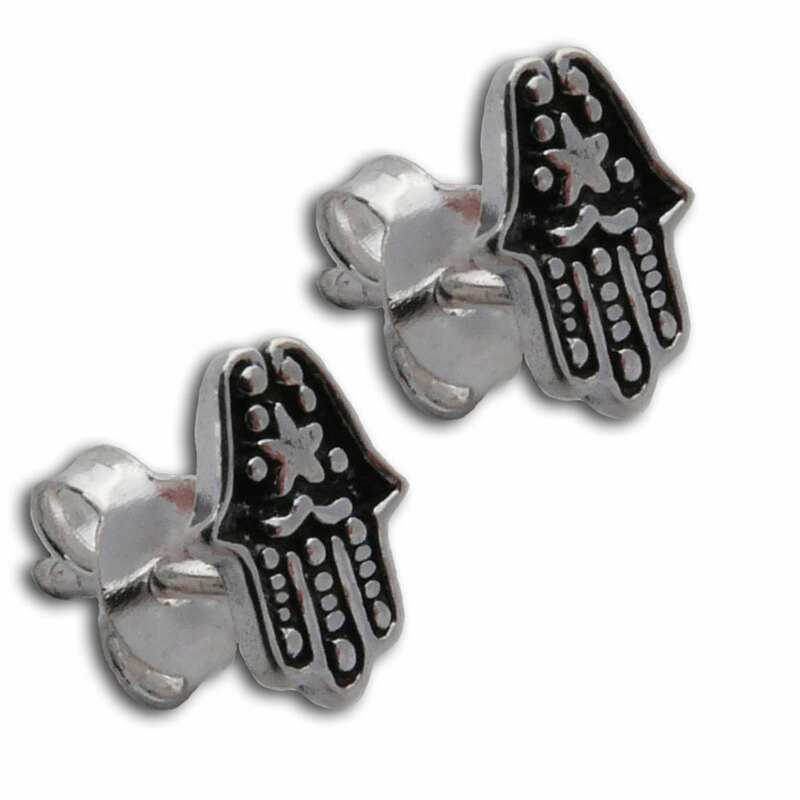 The ever protecting Hamsa (or hand of Fatima) hand stud earrings made out of sterling silver. Hamsa is an important symbol in many religions and represents a protecting hand of god. 0.7 cm, 0.7g. The ever protecting Hamsa (or hand of Fatima) hand stud earrings made out of sterling silver. The ever protecting Hamsa (or hand of Fatima) hand with with a shining zirconia stone. The pendant is on a tie-to-fit faux suede cord.